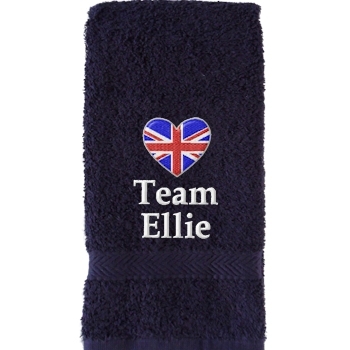 Personalised cotton gym towel in sporty Navy Blue. Personalised cotton gym towel in sporty Navy Blue. Wipe your brow in style with a custom embroidered name, initials or team name and the optional addition of a little motif or logo.